High Gloss Piano Finish Laminate Flooring simulates an upscale look from traditional to exotic styles. The 8 mm High Density Fiberboard planks have an attached 2 mm foam underlayment, reducing noise and providing shock absorbing cushion. This product has achieved GREENGUARD Indoor Air Quality Certification and has been tested for more than 10,000 volatile organic compounds, including formaldehyde, to meet these standards. The glueless installation is easy and economical; above grade, on grade and below grade. The High pressure laminate production fuses classic wood grain visuals to create a stunning and environmentally friendly flooring choice. 14.63 sq. ft. per case. Case quantity: 8. Case weight: 23 lb. 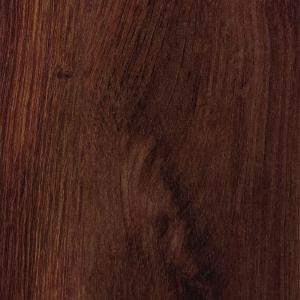 Buy online Hampton Bay Hawaiian Koa Cherry 8 mm Thick x 5-1/2 in. Wide x 47-7/8 in. Length Laminate Flooring (14.63 sq.ft. / case) HL96, leave review and share Your friends.